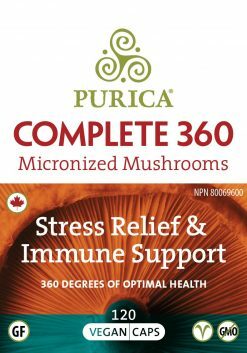 Every day, throughout the year, our immune systems must protect us against myriad micro-organisms and other stressors that can harm the body. 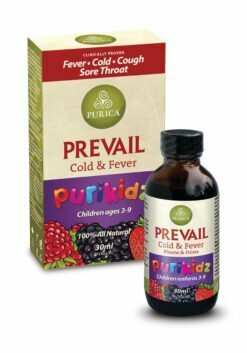 Eating well, exercising, hydrating and getting plenty of sleep are among the front lines of defense against cold and fever and the related symptoms of cough and sore throat. 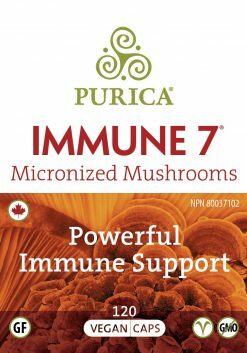 Sometimes, however, our immune systems need a boost. 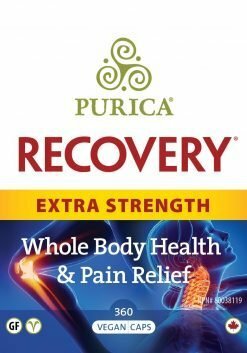 PURICA Prevent® provides precisely the right kind of boost. 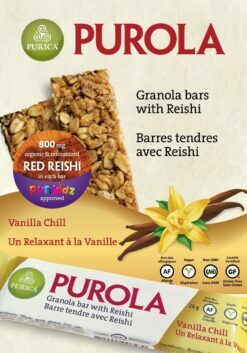 It is clinically proven to help you ward off the common cold. 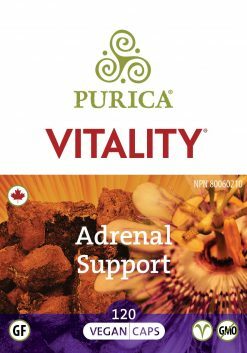 To be optimally healthy, we need our immune systems to exhibit balanced cell-signaling to ensure sensitivity and effective response. 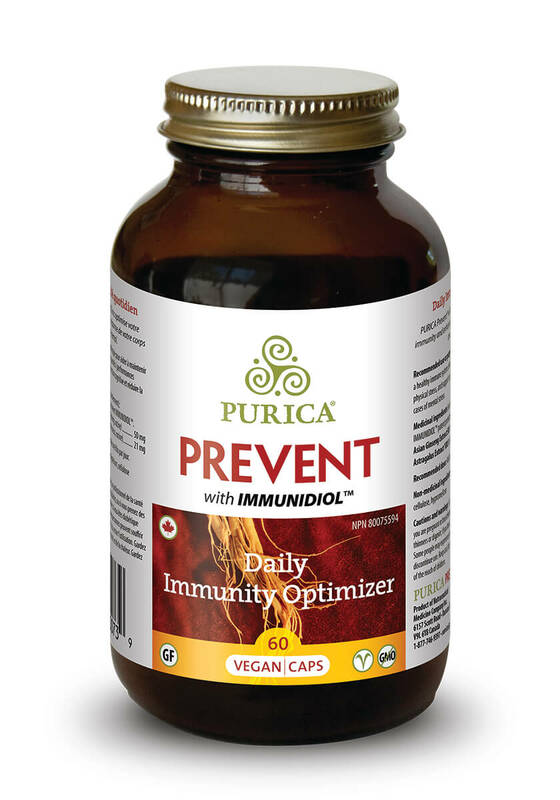 PURICA Prevent® has been shown to modulate (balance) the immune response—in doing so, it helps the body better adapt to infection and other stressors. 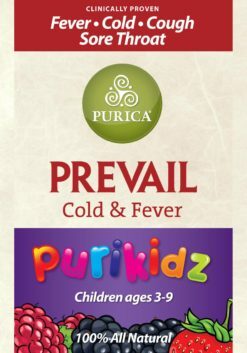 PURICA Prevent® can be taken daily to enhance your immunity and fight against the onset of the common cold. 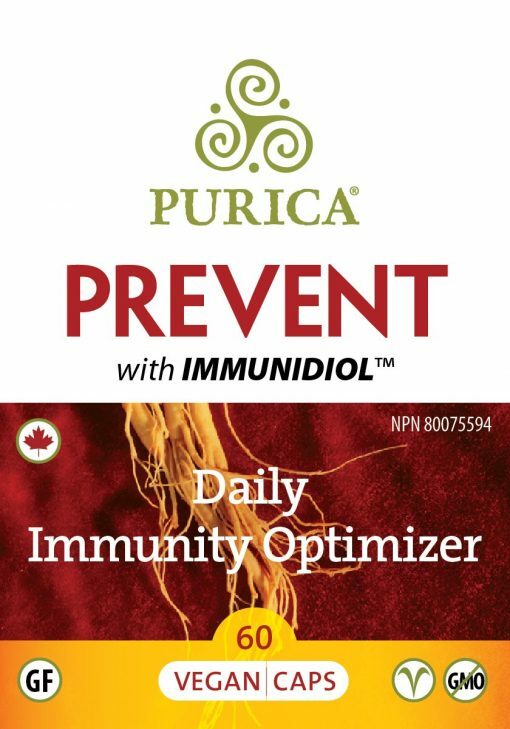 PURICA Prevent® Daily Immune Optimizer works best when taken each day, especially during cold and flu season and periods of high stress. PURICA Prevent® Daily Immunity Optimizer contains IMMUNIDIOL™, a combination of two herbs: Panax ginseng and Astragalus membranaceus. IMMUNIDIOL™ patent protected enhanced absorption formula. 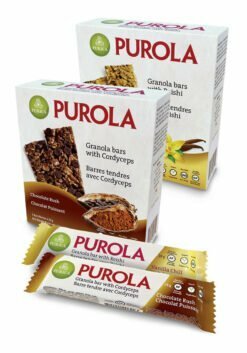 Non-medicinal Ingredients: Magnesium stearate, microcrystal- line cellulose, vegetarian capsule (hypromellose, purified water). 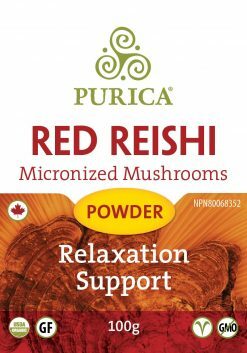 Used in Herbal Medicine to help maintain a healthy immune system, enhance physical capacity/performance in cases of physical stress, and support cognitive function and reduce mental fatigue in cases of mental stress. Cautions and known adverse reactions: If you are pregnant or breastfeeding; taking antidepressant medications, blood thinners or digoxin; if you have diabetes; or if you have an auto-immune disorder; consult a health care practitioner prior to use. 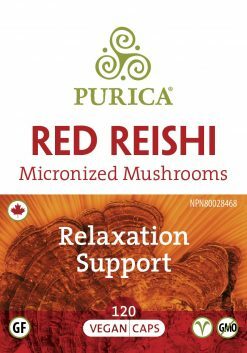 Some people may experience insomnia, anxiety, or headaches. In these cases, discontinue use. Recommended storage: Keep cool, dry and away from direct sunlight and heat. Keep out of reach of children.